Candidate Master (CM) Calvin Prasad won the 2015 TappooCity National Blitz Chess Championship in Suva at the weekend. CM Manoj Kumar came second with the same score after a loss to CM Calvin. Tianata Terubea, CM Noel Adricula and CM Goru Arvind scored 8/12 to finish third, fourth and 5th respectively. 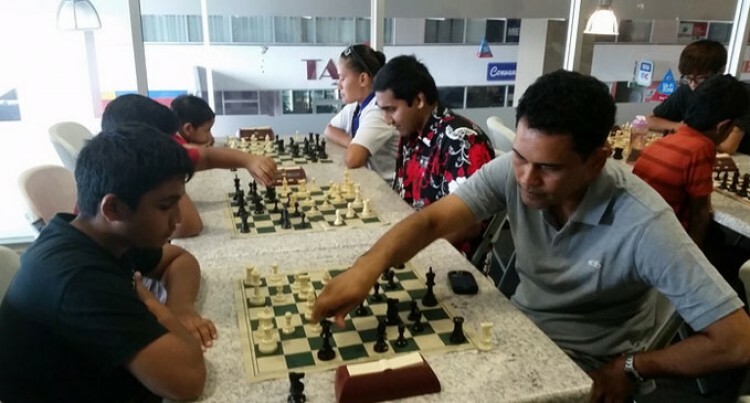 Fiji Chess junior development officer Gloria Sukhu said the tournament showcased a lot of young talent. “The tournament attracted a significant number of youngsters along with some new faces,”Sukhu said. Rudr Prasad won the Primary School division 6/12 over Meshan Fareed and Austin Koroi. Women’s Candidate Master (WCM) Sukhu reigned supreme winning defeating Claudia Koroi, Kabrina Terubea and Jeryka Prasad. The tournament was followed by the 36th annual general meeting (AGM) which saw Calvin Prasad being elected as new president. General secretary Goru Arvind said it was a satisfying moment to see many officials re-elected. The AGM closed with special awards being handed to CM Calvin Prasad for 2014 Player of the Year, 16-year old Kabrina Terubea for Junior Player of the Year and Zen Borg for Most Improved Player of the Year.